The Moscow authorities firmly believe that the recent Armenian-Azerbaijani arrangements over Nagorno-Karabakh (Artsakh) are not going to remain on paper, TASS news agency reports, citing the Russian foreign minister. Commenting on the recent summit, held with the two countries' top diplomats, Sergey Lavrov said he saw the real interest to push for future progress. ''Sensing the atmosphere of the ongoing work – and relying on the outcomes of the meeting between the Armenian and Azerbaijani foreign ministers - I have real grounds to assume that both Yerevan and Baku have an interest not to leave the arrangements on paper,'' the Russian official told a news conference summing up a meeting with his Serbian counterpart. Foreign Ministers Zohrab Mnatsakanyan and Elmar Mammadyarov met in Moscow on April 15 for a new round of talks initiated and attended also by the Russian foreign minister. The co-chairs of the OSCE Minsk Group (Ambassadors Andrew Schofer of the United States, Stéphane Visconti of France and Andrew Popov of Russia) and Personal Representative of the OSCE Chairperson-in-Office Andrzej Kasprzyk were also in attendance. 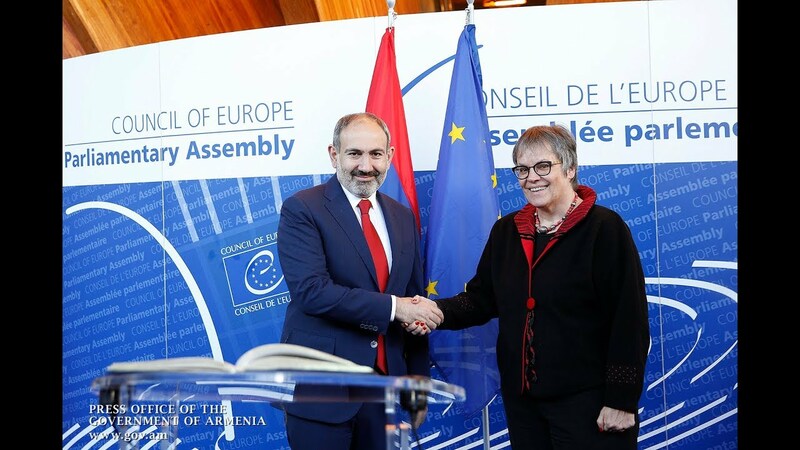 The meeting also addressed the chances of future progress based on the outcomes of the March 29 Vienna arrangements reached between the Armenian and Azerbaijani leaders. The Russian foreign minister and the international diplomats reaffirmed their commitment to the mediation mission ''aimed at the establishment of a steady regional peace''. They also agreed on plans to continue the dialogue.